American merchant Captain Jeremiah Macy Hammond is at the forefront of the New World. His trading empire faces pirates, violent storms, and illness as it forges new paths across the Pacific Ocean, opening new markets in Hawaii, Mexico, and China. It is there he meets the beautiful Lady Yee, the Silver Lotus, prized daughter of a wealthy Cantonese merchant family. A great love is born, and their adventures will shape their lives--their love will transcend borders, oceans, cultures, and their marriage will eventually serve as a foundation for the growth and development of the Northern California coast. 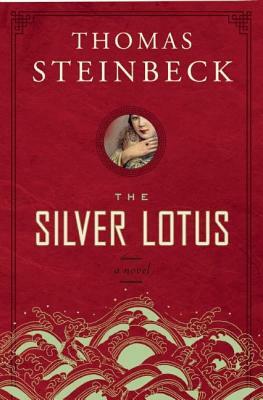 Steeped in the rich culture of the Orient and set against the burgeoning trading routes of the Pacific Rim, The Silver Lotus presents Steinbeck's most moving and textured narrative to date. Readers of both Lisa See and Patrick O'Brien will be drawn to this rich historical tapestry that examines how industry, adventure, and love served as the building blocks of the thriving California waterfront.